It’s not that common in Japan to invest in houses for rental purposes. But one of the most popular investments—among Japanese investors at least—is having a small multi-home or multi-apartment housing complex and living within that complex—often with two stories. A typical scenario would be somebody who has property with an old house on it. They knock the house down and build a duplex or a triplex, or buy the land and build such a complex. If you build a complex and rent out everything, it will be treated as investment property only. But if your house occupies more than 50 percent of the total area, the whole property is considered as a house for taxation purposes, you can borrow money as if you are buying only a house. The advantage of this investment is that the interest rate on a loan is much, much lower than borrowing for a straight investment—just 1 percent compared to 3 to 4 percent. It also gives you more options for borrowing money. 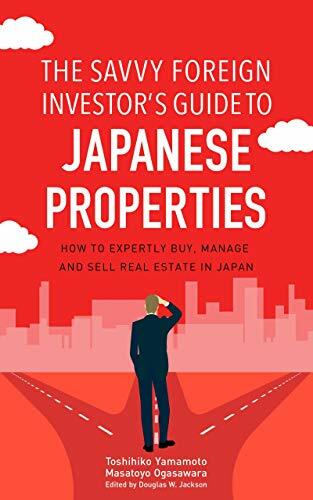 This option is probably of most interest to foreign investors living in Japan, since they can build their own house and derive income from renting out the other units. If you have such a property and want to sell, however, the design or structure may look a bit odd to potential buyers because of the combination of house and rental apartments, making it more difficult to sell. Issues of privacy and things like that would probably also come up. One strategy to overcome this is to renovate the owner’s part into apartments before you sell, turning it into a conventional apartment complex. You’d have to invest some money for renovations, but it’s a viable option. The main house or property and the other units must be attached in some way, by the way, like a two-generation house. Japan has a lot of foreign tourists visiting these days, and the country is facing a serious lodging shortage. Hotels in Osaka and Tokyo are hitting occupancy rates of almost 100 percent every day. Big companies like Nomura Real Estate have recently announced they’re going to open up new hotels all over Japan.